MADELINE Jones should have turned 19 this Sunday surrounded by her family and friends. Instead her heartbroken loved ones are coming to grips with the tragic and sudden loss of the tiny blonde teen with an enormous heart after she died from complications with the flu during the worst influenza season on record. Madeline, affectionately known as Maddy, had the world at her feet. 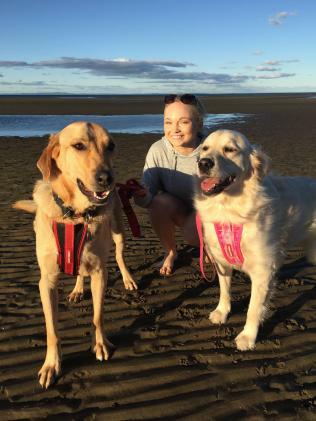 She was a talented tennis player who coached children, a law and business student at QUT, an animal lover who wanted to adopt every dog she saw, and an adoring daughter, sister and girlfriend who was planning a bright future with her high school sweetheart. 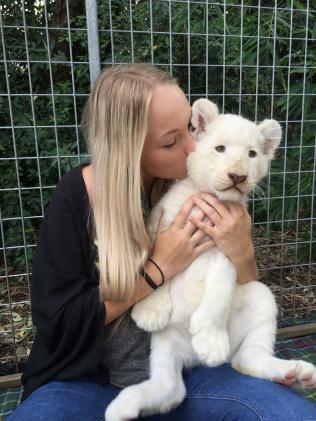 "She was very funny, beautiful and very smart and she loved animals," Maddy's mum Danielle Nielsen said. 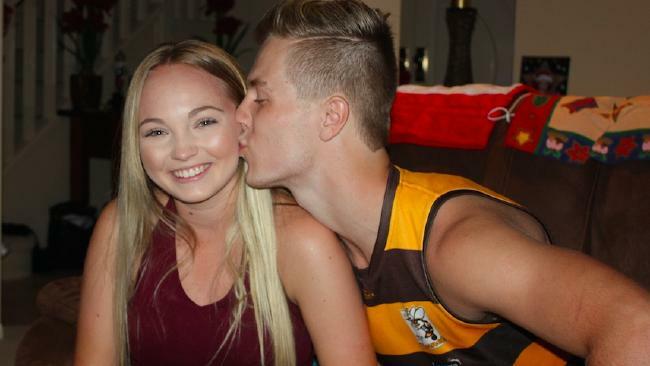 "She was a good girl and a good daughter, very dedicated and organised and very motherly to her twin brothers Nathan and Lachlan and everyone else in the family. "Maddy was also very independent, very strong willed, very determined and that's why she was going to make a great lawyer." 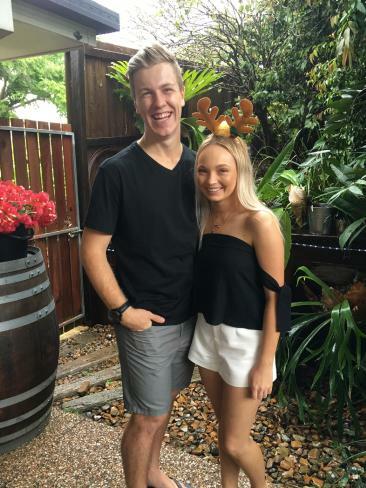 Maddy started to show standard flu symptoms during a holiday with her boyfriend at Caloundra with a sore throat and runny nose - nothing serious enough to indicate the heartache that would follow. Despite resting and taking every precaution, Maddy's condition worsened and five days later she was admitted to the intensive care unit at the Prince Charles Hospital where she fell into a coma and never woke up. Her devastated family said goodbye to the 18-year-old blue-eyed Eatons Hill girl at a service on Friday. "She was very outgoing and loved life," Maddy's father Damian Jones said. "She was very much an animal lover and volunteered for a bit at the RSPCA but she wanted to adopt every animal under the sun." Maddy Jones with her boyfriend Callum Royle. For Maddy, the influenza turned deadly when she developed sepsis, organ failure caused by her body's response to a joint attack of the flu and a bacterial infection. "The doctors have explained to us that everyone in the family could have got the same thing but everyone would react to it differently," Mr Jones said. "The problem is the symptoms are just cold and flu type symptoms and different people react differently to the bacteria." Experts say the onset of sepsis is very difficult to predict among fit and healthy people like Maddy and it's unknown if everyone has the same level of risk. Maddy's long-term boyfriend Callum Royle said the severity and speed of the virus took everyone by surprise. "It's hard to believe that only a month ago we were having a discussion about our future and we were pretty certain that we were going to spend the rest of our lives together," he said. "Maddy had an awful lot of potential to be something very special and have a great impact on the world." Mr Royle said Maddy was full of energy, finding time to coach children at the Samford Tennis Club, study a double degree in law and business at QUT, work part time at Grill'd and spend time with her friends, family and many dogs. "I am extremely proud of Maddy and I'm even prouder to have had the opportunity to call her my girl," he said. "I made a promise to Maddy before she passed that I am going to dedicate my life to making her proud. "She was a very special part of my life and my family and it's difficult to come to terms with losing her - I'll always love Maddy." A talented tennis player, Maddy attended the Kelvin Grove Tennis School of Excellence before going on to coach kids at The Samford Tennis Club which posted a tribute to the "kind, caring person who could light up a room". The club has renamed its junior fixtures shield as the Maddy Jones shield in honour of the teen. THIS year's flu jab has done little to stop Queensland's worst flu season in history. The vaccine was poorly matched to the strains of the virus, which rapidly spread throughout the state. More than 52,000 people have contracted influenza since the start of the year with 5653 people hospitalised and more than 11 per cent of those admitted to intensive care units. Experts say that is just the tip of the iceberg with many people going untested. "This is the worst flu season we've ever documented in Queensland," Immunisation Coalition chairman Professor Paul Van Buynder said. "We had a number of different strains circulating so all of the different flu viruses were here at the same time and we had a vaccine that didn't work as well as we'd like it to this year." Prof Van Buynder said it appeared the virus strains had slightly changed between the creation and delivery of the vaccine. "It's because the virus itself changed a little bit this year and it wasn't a perfect match to the circulating virus and that's why we've had the problems with it," he said. "They're never really sure and it takes about six months to make vaccines and so we've got to have a guess a long time before they arrive because the vaccine takes so long to prepare. "This year it wasn't a great match." Australian Medical Association Queensland president Bill Boyd said children and elderly were some of the most susceptible to influenza. "The people who make the flu vaccine try very hard to match their vaccine with the given flu virus that's going around," Dr Boyd said. "My reading is that this year the flu vaccine might have been rather less effective perhaps than we would have hoped. "The vaccines are available and, generally speaking, are effective. 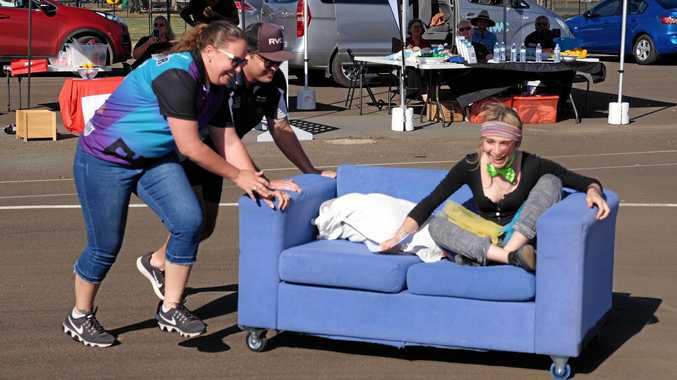 There's been some questions about this year, but, all the same, the medical profession in general would encourage people to avail themselves of the flu vaccine each year in advance of the flu season," Dr Boyd said.